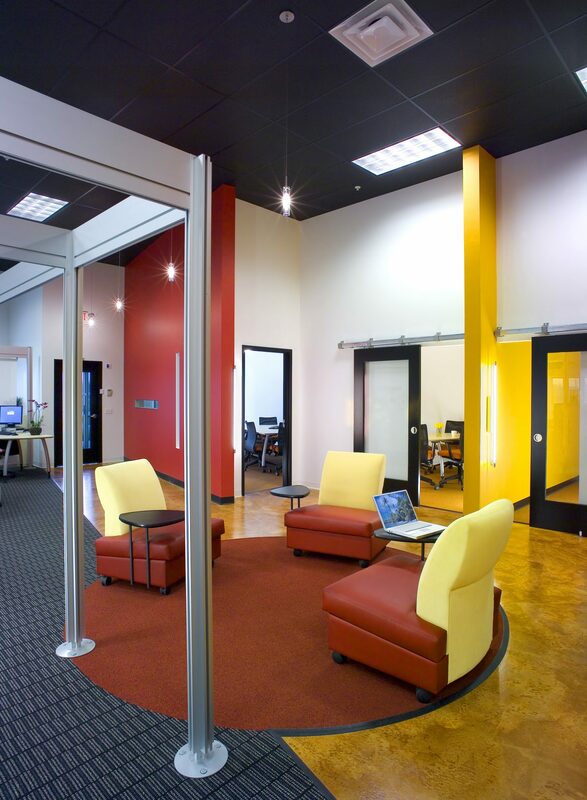 Using the company president’s vision, TR,i incorporated furniture sounds masking and infrastructure systems that would encourage a free flowing, plug and play environment. 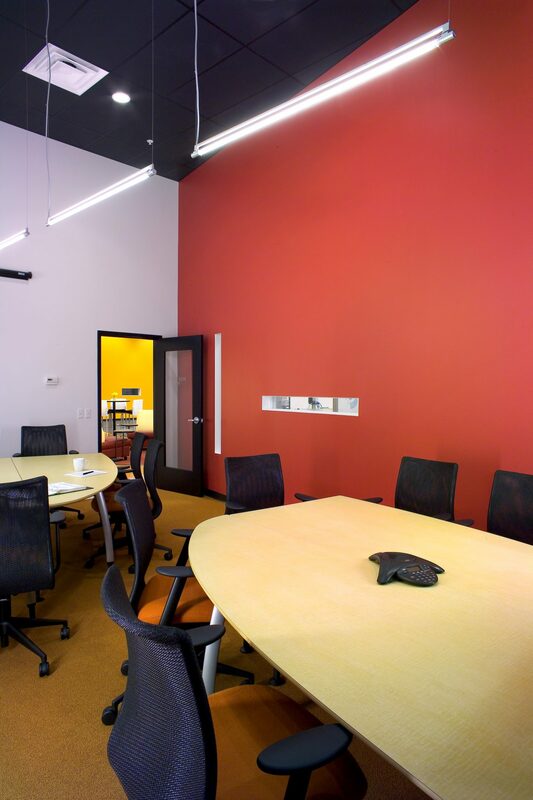 Open conference rooms, a coffee bar incorporated into the space and lounge areas encourage staff to work together informally. 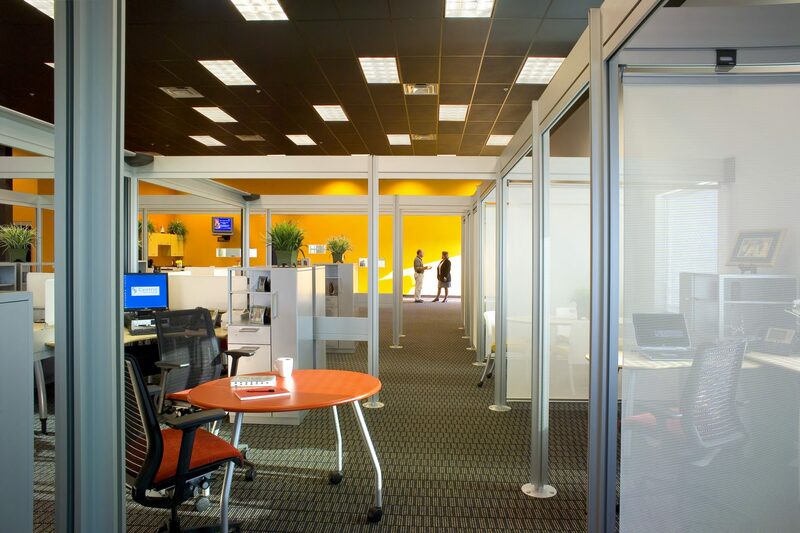 Stimulating colors and unusually high ceilings for an office assist in creating an open atmosphere.